Listen, we were never a huge fan of the customized fidget spinner scene. However, when they can assist with raising funds for legitimate causes, we can understand how these might be important in the world. Most awareness and fundraising events occur yearly, which causes a bit of an issue sometimes when you need to think of unique items to offer year after year. These awareness ribbon fidget spinners are new for the 2018 season, so you might be the first to use these custom awareness pink ribbon fidget spinners at a local event! Use them at your next school fundraiser or walkathon to boost your fundraising merchandise sales! 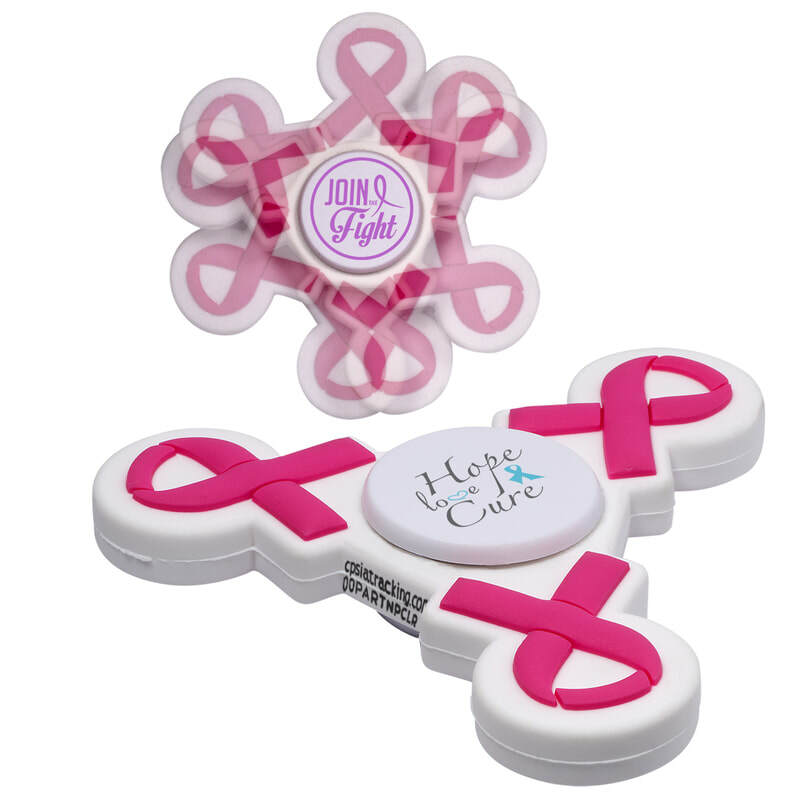 These customized awareness pink ribbon fidget spinners feature very noticeable pink ribbon stock art at the end of each of the spinner arms, and sturdy PVC construction with steel bearings and a center imprint panel made of ABS plastic. Your customized pink ribbon fidget spinner order includes your one color logo on the center cap, and free shipping and setup for a limited time.